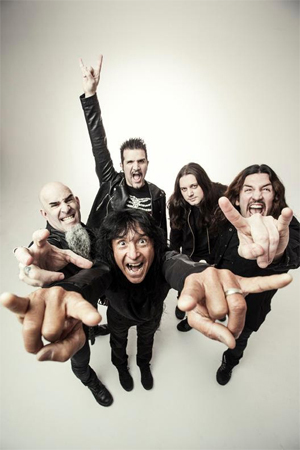 Celebrating 35 years as a band, 2016 is proving to be a very good time for thrash/metal icons ANTHRAX, and the festivities are intensifying. First, ANTHRAX is releasing the third lyric video from their new album For All Kings, this one for the track "Zero Tolerance". The song closes the album and its message is very personal and particularly timely in today's society, with the horrific rise in mass shootings and other forms of terrorism. In the words of ANTHRAX lyricist Scott Ian, ""Zero Tolerance" sums it all up. It's about doing anything to protect your small circle of family and friends from the insanity of the world." Check out the lyric video for "Zero Tolerance".